With our rocky and sandy soil, it is very important to plant new plants correctly. That’s why you should turn to professional landscape designers Jaguar Garden Designs of Boca Raton. Serving a majority of South Florida, Jaguar Garden Designs offers landscape design and garden design services in the areas of Boca Raton, Deerfield Beach, Delray Beach, and more! There’s no better landscape design installation team to turn to in Parkland than Jaguar Garden Design. When you want the best installation of plants for landscape and garden design in Parkland, you can depend on the landscape contractors at Jaguar Garden Design because we take each part of the process step by step to perform the correct duties and bring the landscape design you envision to reality. When you want to create the most beautiful landscaping design with plant installation in Boca Raton, Jaguar Garden Designs is here to help. With a team of professionals, Jaguar Garden Design is able to install the most gorgeous plants and trim to meet your liking. For the greatest Delray Beach landscape design installation, the best team to seek services is from Jaguar Garden Designs. Having plant installation done properly is essential to have a rich, full garden. At Jaguar Garden Designs, we know how to handle, space and care for plants. That’s why we can professionally install your dream landscape garden design in Delray Beach. To have the best landscape design in Deerfield Beach put in the correct way, you can trust in the services provided by Jaguar Garden Designs. We aim to create the garden design of your dreams and do this by proper plant placement, treatment, and maintenance. The benefits of turning to a professional landscaping company in Deerfield Beach like Jaguar Garden Designs is that you have a team with experience and knowledge of landscape design. 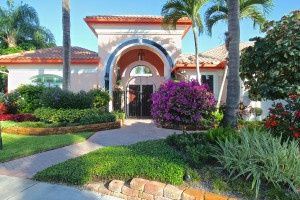 Jaguar Garden Designs is known as the best team for landscape design in Coconut Creek. We believe in truly creating the most enticing environment, which is why we go out of our way to install anywhere from the most luxurious plants to the most traditional plants and more! There are a number of techniques for creating what you want for landscape design in Sunrise. At Jaguar Garden Designs, we know the right course of action to take to get you the landscape design you want. Turning to a professional landscaping team can be the difference between longer lasting plant configuration and a temporarily set ground. Choose wisely for your landscape design installation by turning to Jaguar Garden Design! When we do plant installations at Jaguar Garden Designs, we start with a hole that is deep and wide enough to not only fit the plant’s root ball but with extra space for good, rich topsoil. This ensures that the plant has all the nutrition it needs to grow well and plenty of room for its roots to extend. Spacing is also critical so that plants do not have to compete for nutrients or sunlight. Knowing how each plant grows tells us the right spacing so that plant groupings look just right, not crowded or too sparse. We also make sure that sprinklers will hit the new plant so that it will acclimate to its new environment quickly and will continue to grow with as little stress as possible. When we leave, we give you a complete set of watering directions for the first few weeks to ensure that your new plants develop the strong root systems they need to thrive. Professional installation makes all the difference! The best landscape design team in all of South Florida is Jaguar Garden Designs, so what are you waiting for? Schedule a consultation on your landscape design online or by phone at (561) 699-0653 today.